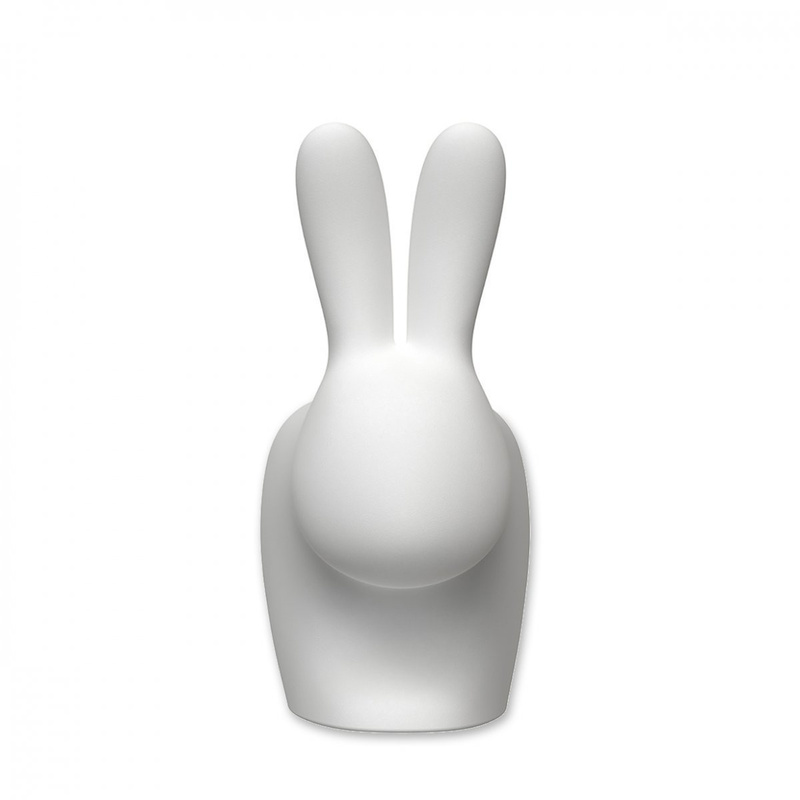 Functional and trendy, the outdoor LED Rabbit lamp is ideal for lighting up gardens, verandas or balconies. Pull a rabbit out of the top hat is the best known and iconic numbers of the most famous magicians in the world. 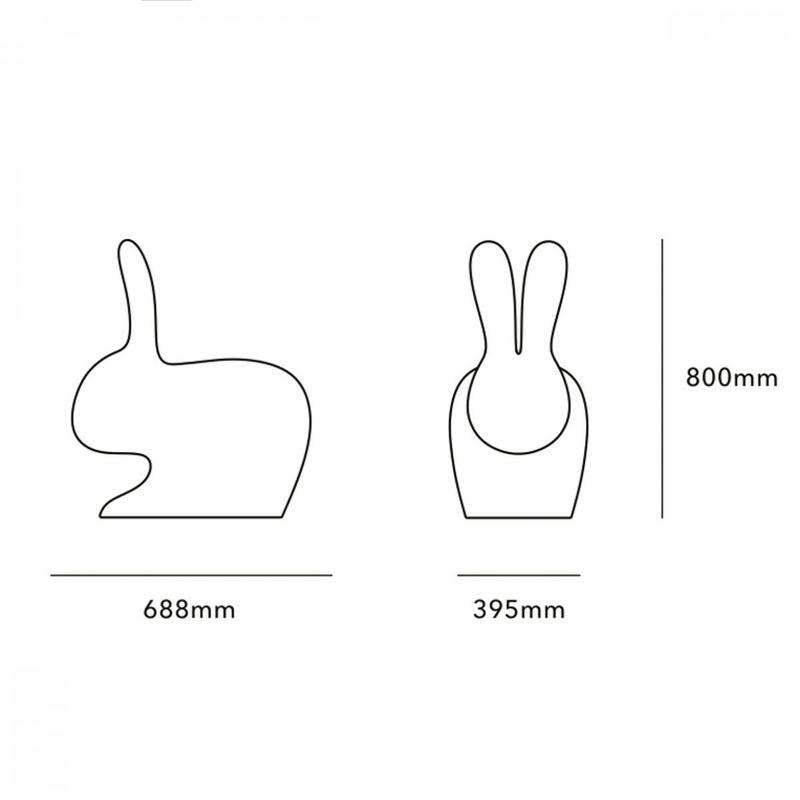 It is by them that the designer Stefano Giovannoni, from La Spezia, was inspired, creating for the brand Qeeboo the outdoor Led Rabbit lamp. 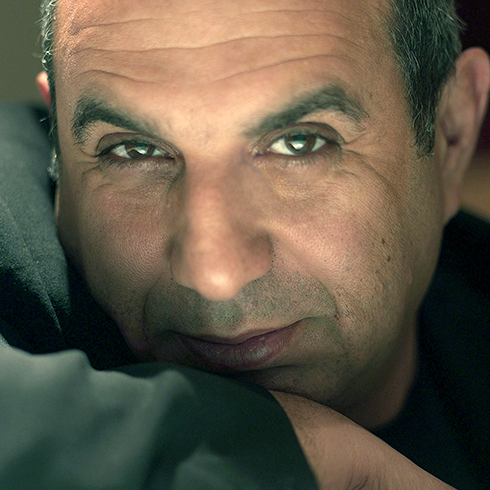 Working for more than 30 years as architect and designer, Giovannoni is now one of the leading names in the industry, with several and special awards received not only in Italy and Europe, but also in Japan and in the United States. 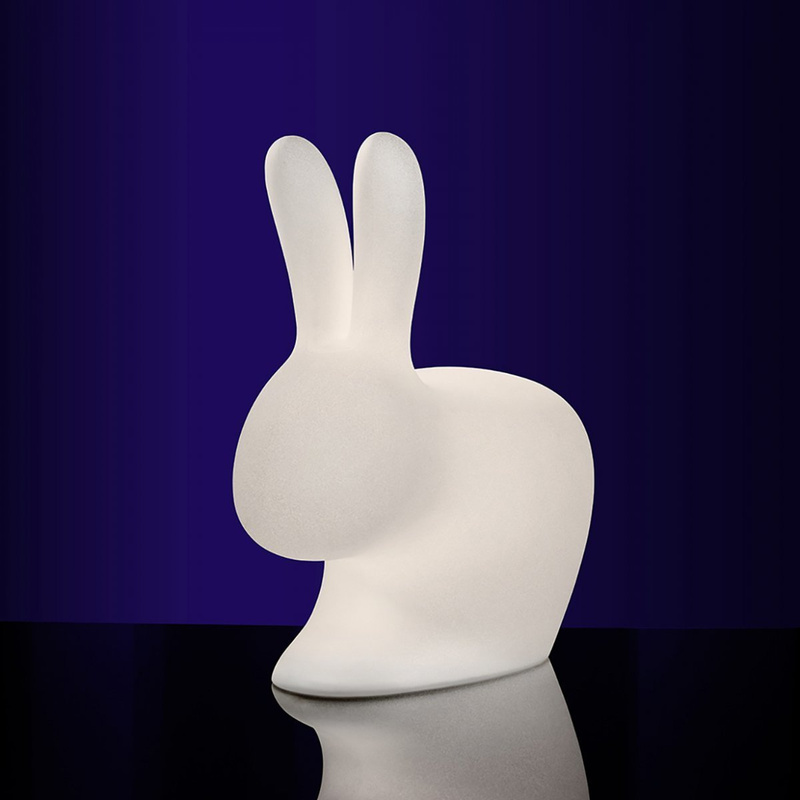 The skilful choice of the silhouette of a rabbit is undoubtedly one of his trademarks, as can be seen at first glance in this Rabbit lamp. Presented in a white colour and entirely made of polyethylene, this version is explicitly designed for the illumination of outdoor spaces. It is therefore absolutely ideal as an additional decorative element for the garden of a villa, a terrace with breathtaking views or even for a small yard to which you want to give a touch of exclusivity. Your kids and their friends will feel more confident and comforted, playing in a space not only well lighted up, but also studded with cute white bunnies, animals that always provoke love and tenderness in those who watch them. This nice outdoor Led Rabbit table lamp will keep you company while you spend your time relaxing in the garden or on the terrace with a book, sipping a drink or maybe chatting with your friends and relatives. 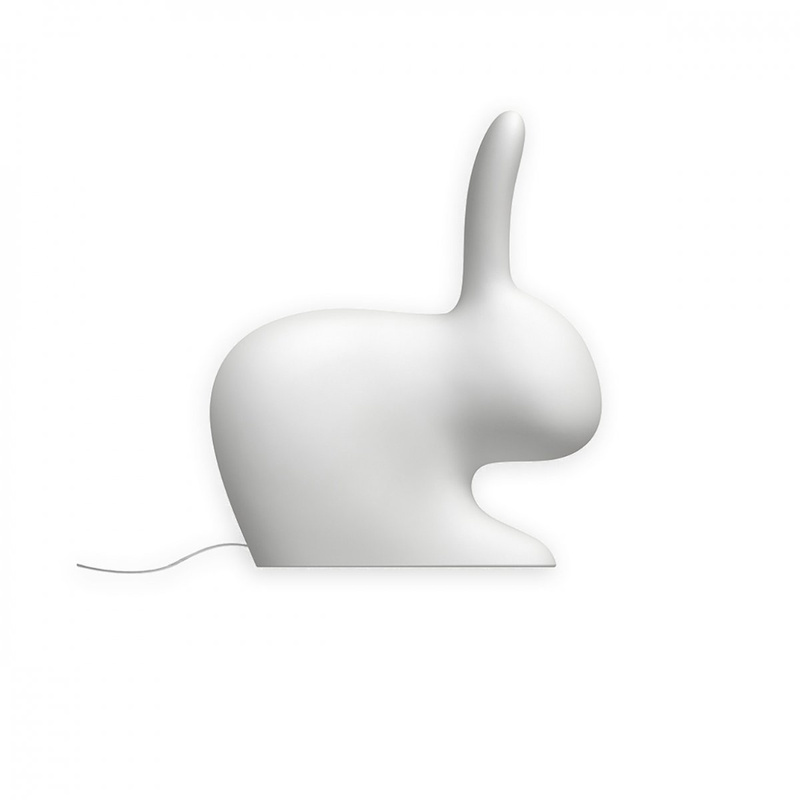 The minimal but seductive design of this lamp will help you to make a really good impression on your guests and to confirm your good taste in design, maybe coupled with the special chairs of the Rabbit chair collection, always by Stefano Giovannoni. If just one rabbit is sweet, more than one bunnies will be surely a blessing for your outdoors! 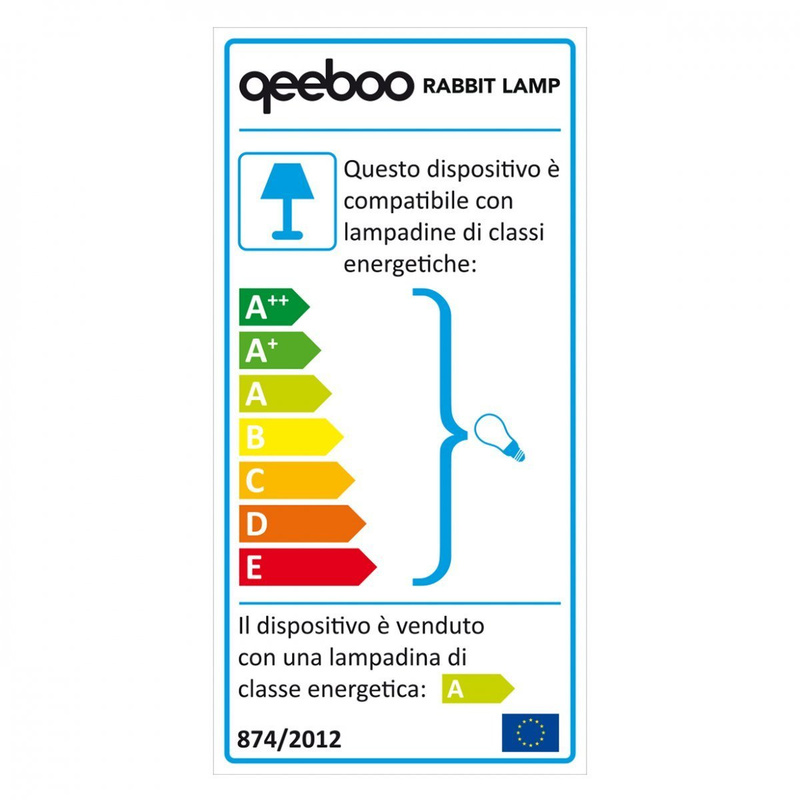 Information: the lamp is compatible with a 8W LED bulb with rechargeable battery, which provides a range of 6-8 hours. The lamp is suitable for outdoor use. The lamp is equipped with on/off switch. Certifications: WEEE - CE - IP65. Made in Italy.